Chronicled by a galaxy of Olympia gods, Greece has a history counted in millennia. A virtual museum of Mediterranean civilization, this lyrical land of philosophers, lovers, legends and warriors welcomes travelers with an intricate mosaic of unique culture and beautiful heritage. Present-day Greece is being enjoyed by more than 12 million visitors per year. They come to enjoy not only its history, but also the natural beauty of the mainland, the Islands, and its modern sophistication that is far beyond the image conveyed by typical travel posters and Zorba the Greek. The Greek isles are synonymous with clear water, gentle breezes and a clarity of light that have drawn visitors throughout the ages. Experience the rich history of the Adriatic with a tour of the region's top cultural destinations. : Dubrovnik with its emerald harbor and 82 foot high walls... Kator, the fortified city perched on a cliff above southern Europe's deepest fjord... Mostar, famous for its Stari Most bridge- destroyed in a 1993 bombardment and rebuilt as a symbol of unity, literally bridging the two sides of the conflict... Sarajevo, the crossroads betwen Asia Minor and Central Europe and site of the assassination of Archduke Ferdinand which sparked World War I...Split, one of the oldest cities on the Adriatic... the lakes of Plitvice renowned for their varied colors... and finally Zagreb, capital of Croatia and one of Central Europe's cultural hubs. Experience a fascinating journey through undulating landscapes of vines, enigmatic medieval villages and castles from the times of the Christian Reconquest ... browse in the local craft shops where you will find some quite unique examples of basket weaving...admire the intricate patterns of the thousands of roofs and the blue reflections of the river... take a ride on one of the old ìbarcos rabelosî, the boats that have been sailing up and down the Douro since the 10th century discover real gems hidden behind wooden doors in a narrow paved street of Lisbon...in the midst of some lush green vegetation...from a panoramic terrace over viewing magnificent deep valleys...or simply in the incredible taste of a Portuguese wine. Discover the true spirit of Andalusia, past and present... picturesque villages... fragrant flower-filled fields... wonderful landscape... experience a fascinating journey through the glorious kingdom of the last Moorish dynasty... be amazed by the treasures of the dynamic Spanish capital Madrid... enjoy the rhythms of Flamenco music and Andalusian cowboys in the flamboyant city of Seville... stroll the narrow colorful streets of Cordoba, its spectacular buildings and monuments... discover the lovely imperial city of Granada, its marvelous palaces, gardens, mosques and fountains... experience the pleasure to stay at meticulously restored converted 18th -century monastery or palaces... a truly royal experience. This newsletter is best viewed using Internet Explorer 6.0 or higher. 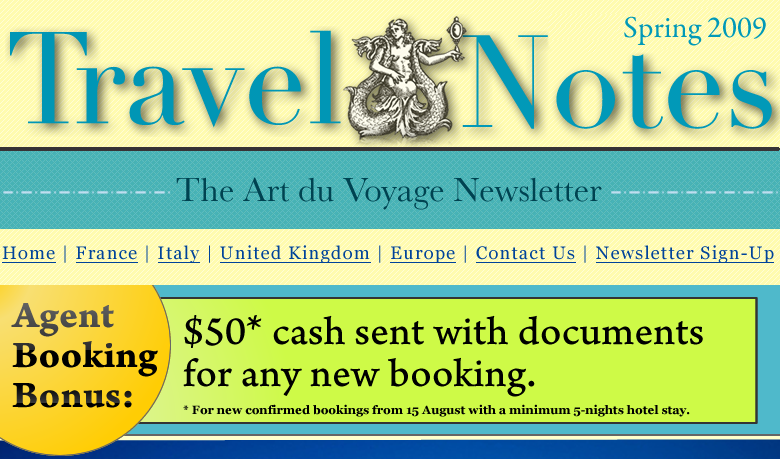 E-mail address update: Already receive our newsletter and want to change your e-mail address? Unsubscribe: If you do not wish to receive our newsletter, click here.